musings of a madwoman: CSN $25 Gift Certificate Giveaway! CSN $25 Gift Certificate Giveaway! Hold on to your butts, you guys, because on this auspicious Thursday morning I am excited to announce I'm having a giveaway! The winner will receive a $25 gift certificate to use at any one of CSN Stores' more than 200 online shops, which feature everything from modern dining room furniture to some awesome chef's knives I've been eying for a few months. Their sites have some pretty sweet deals on brand-name stuff that I've seen for higher prices elsewhere, so I encourage you to check them out if you're looking for housewares of any kind. Plus, tons of their products come with free shipping, which is a nice bonus. I'm not receiving any kind of kickback here, so understand these are just my observations from having browsed through CSN's sites. There is so much to choose from in the online shops, I thought I'd spend a little time doing what I do best -- browsing the Interwebs -- and choosing some of my own favorite finds to help you decide what to get if you win. I wasn't asked to do this -- I'm doing if for my own amusement. 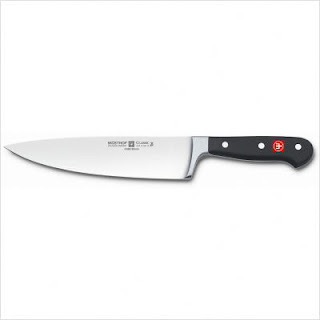 From CSN's cookware site, I'm drooling over this Wusthof cook's knife. There is also a pair of Wusthof kitchen shears I'd snap up. 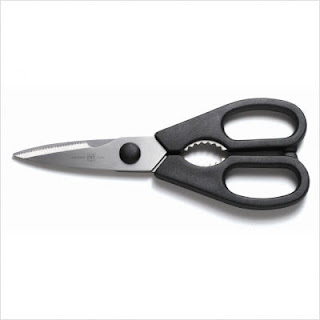 I'm ready to replace my old scissors with some proper shears. 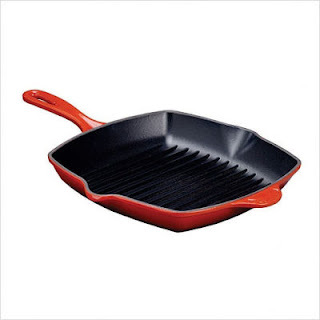 And, Mama like this Le Creuset skillet grill. Mama like a lot. Don't even get me started on Kitchenaid mixers. I've been drooling over these all year. 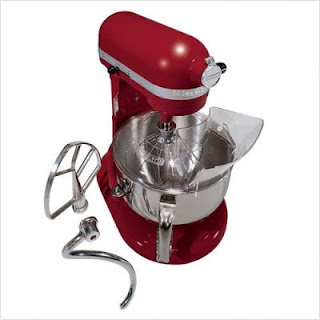 One day a cherry red mixer will sit on my kitchen counter. 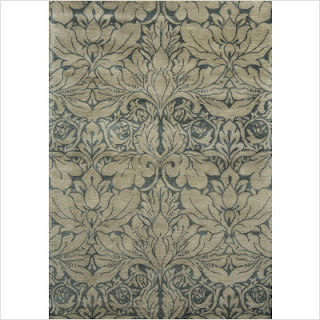 If I hadn't literally just bought a rug for my living room, this would be a contender. 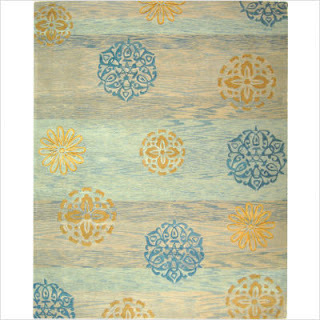 There are a number of contemporary rugs that float my boat and I can tell you these are reasonably priced. 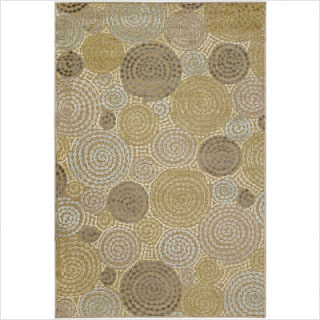 I got a little sticker shock shopping for rugs in a couple of well known department stores last week, and looking at these I'm wishing I'd known I had more well-priced choices. 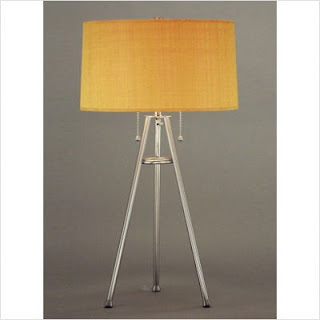 By the way, I am in love with this floor lamp, which is also really affordable, considering its size and wonderfulness. Plus, it ships for free. You had me at hello. 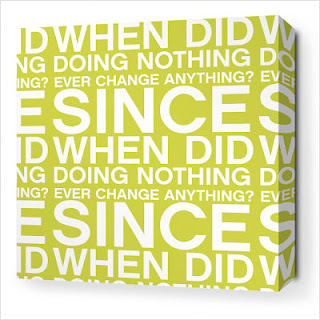 Sort of love this wall art that asks: Since when did doing nothing ever change anything? That's what I've been saying!! And, since I live in a fantasy world, why not add this fantastic dining set to my wish list. Um, hello? This would be so perfect in my house, it's not even funny. I'm going to go cry now because it's not mine. Ok. Are you sufficiently excited? I am. No entries after midnight Pacific time on Wednesday, Jan. 12, and you must be in the U.S. or Canada, as CSN only ships there. The randomly selected contest winner will be announced next Thursday morning, January 13. I don't know what I want most, but I am moving into a house this weekend (which I'll soon be blogging about), and I recently moved all the way across the durn country, so I had to get rid of tons of stuff, and I need everything in that store. Ohhhh the modern furniture's to DIE for. But honestly, and I hope you don't think this is lame, I'd probably get a nice bread knife, like the 10 inch Victorinox (I have a Vic chef's knife that's basically my baby. I wrapped it up like a precious bundle to move across country with me), because I love to bake and I've been smashing my bread without a good bread knife. DUDE. That table is awesome. If I win I'm going to buy that table. ;) And give it to you, of course. I'm going to hold out until you are a household name and give out cars and homes like Oprah. I am going to get breast impla...oh wait...this is for a home store. I guess then I will have to get a new lamp for one of our bedrooms that has a silly ceiling fan but NO light. WTF? I've been looking for a large mirror for our living room and they have a great selection! I would put it towards the vacuum of my dreams. Because when you have three little boys all under the age of five, you dream about vacuums. I just need one that can vacuum up the cheerios that fall out of my bra at the end of the day. Thanks for the giveaway! Some barware. After today, I need to get my drink on! Hmmmm...I think some kitchen stuff, maybe a mixer. Although the barware idea is enticing! I would get some new throw pillows. I would use it towards a trunki for my daughter! I want lots of CSN things! But can't afford 'em right now. But it's fun to look! I'd maybe get a teakettle if I won the GC. Love that Wustof knife, I was actually looking at that one earlier as well! Right now I'd probably pick up a shoe rack, the one I have is a bit too bulky and doesn't hold enough pairs. I'd get the Kenneth Cole wallet I've been eyeing! Thanks for the giveaway! Geez, I'm not THAT depressed. c) John's reply is funny, I kind agree with him. I certainly hope that is the same John I think it is, if not, my apologies, I beg your pardon, you are not dumb, but in that case, I change my vote to myself and will need to win to pay myself back for the cost of my vote. NOTE2SELF#1: Re-read the Christina Stubler chapter on using less words to make a point. NOTE2SELF#2: Call Christina Stubler and ask her to rewrite this for me. d) If I won, I would buy the scissor, because it could cut things and it was the only thing I found under $25, at a cost of $19.99, leaving $5.01 which would be useful since it doesn't qualify for free shipping. What would I use the scissors for? Wow. There are many, many choices. I say something for the kitchen. Perhaps a pretty dutch oven. How absolutely freaky... I bought that exact same Wusthof knife for my lady for Christmas. I had let her open it a couple days early so she could use it in her holiday dinner preparations.